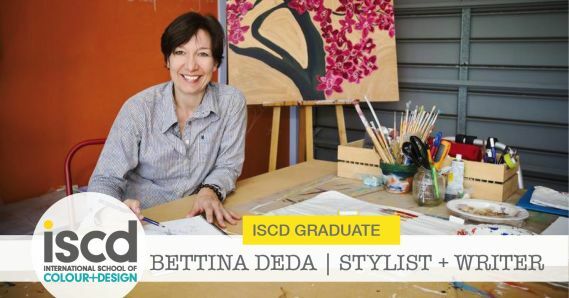 On the blog today we speak with Bettina Deda – iscd Colour Design graduate, Interior Stylist, Writer, Author and speaker. She is on a mission to help empty nesters maintain style and function as they downsize and her new self-published book, Downsize with Style, is a practical guide for this transition. As a teenager I wanted to study Interior Architecture but was not courageous enough to go for it. I loved collecting things, such as shells, stones, travel souvenirs and display them in my room. My mum introduced me to the world of visual arts when I was 12. We used to visit the theatre, the opera, and art exhibitions together. Since I was a young child, she always dressed me in colourful clothes; I loved colour from a very young age. Why did you choose iscd? In 2009, the year after I had moved to Australia, I enrolled in the National Art School and Julian Ashton Art School for drawing and painting classes. I mingled with artists and designers and rediscovered my creative side. A recommendation from a fellow art student directed me to iscd. 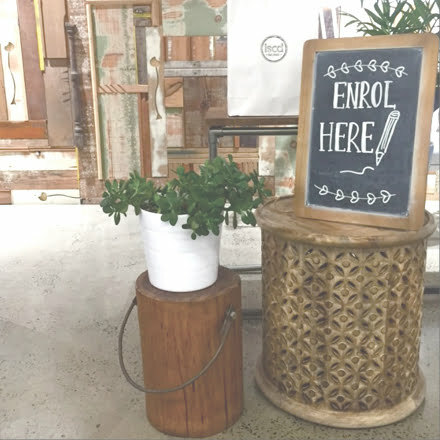 It was not long after that I attended an information session and decided to enrol on the day. How did you find your time at iscd? I loved every minute of it and found it very uplifting and encouraging. I enjoyed the course content and connecting with the other students in my classes. It was very inspirational to exchange ideas and see what everyone was doing with their assignments. What were the most valuable things you learned there? Colour Theory and Psychology; how to approach a design brief; being courageous and persistent. After the Diploma course, I applied for a job as a Sales Consultant with Jimmy Possum in their Moore Park store and stayed there for one year. I learned a lot about furniture design, upholstery, and choosing fabrics for soft furnishings. 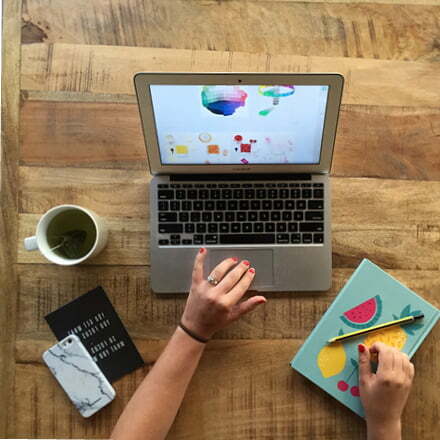 At the same time, I started building my blog and set up my website Bettina Deda colour design. After leaving retail, I started out with a couple of property styling jobs and colour consultations for residential homes. I realised quickly that I could capitalise on my professional skills from my time in public relations and marketing, namely project management and writing. In 2013, when I read more and more about the major physical change Australian cities are going through and the growing number of people, who prefer living in low-maintenance apartments the idea for my book Downsize with Style was born. After eight months of writing and managing the process, including sourcing of my illustrator, graphic designer, and printer, I self-published my book. I rediscovered my love for writing and realised how much I love writing about design. I am a now regular contributor for Houzz Australia and work on expanding my freelance design writing. I have written a couple of house features for Home Ideas Magazine, with one being published in the current November issue. Recently, House and Garden has commisionned me to write for them too. How did your time at iscd help you to get to where you are now? 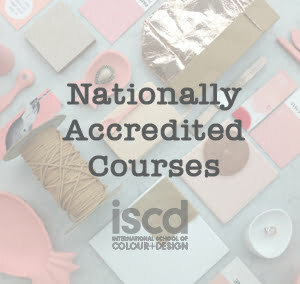 iscd provided me with the necessary design knowledge, valuable industry contacts and the foundation to start out in the design industry. Any advice to people who want to get into the industry and are looking at study? Do your research to be able to make an informed decision and then go for it! Read, read, read blogs, magazines, and books to stay updated with what’s going on in the industry. Start networking to get your name out there and connect with like-minded people. 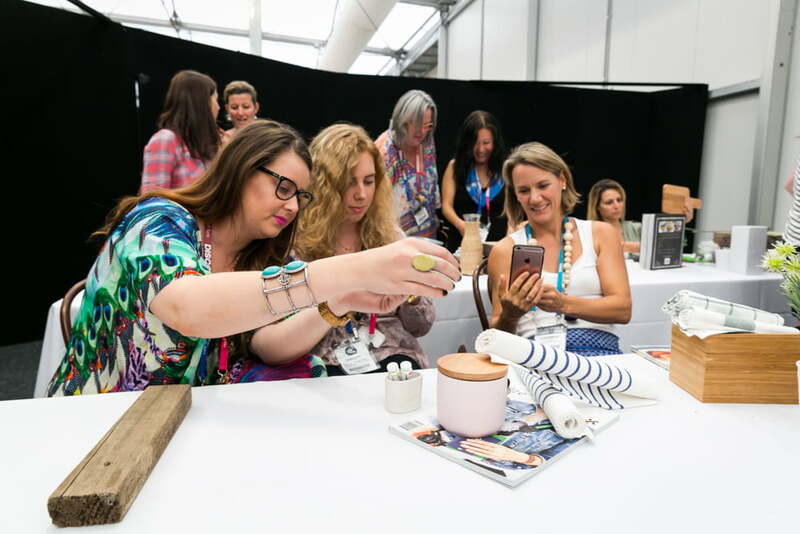 Start thinking about how to market yourself and your business from an early stage – the competition is fierce, especially in Sydney. Offering interior decorating services and valuable resources for empty nesters and apartment dwellers, on one hand, and freelance design writing, on the other hand. If you could shadow any designer for a day, who would it be? What’s the style of your home interior? Very eclectic; a mix of antiques and inherited pieces we brought from Germany and more contemporary pieces we bought in recent years. I love vintage and antique pieces, as they add warmth to any interior. I usually buy what I love and that always works. Some of the latest additions were an Art Deco side table and a very contemporary bookshelf from BoConcept. Is there a decorating mistake you see time and time again? People are not courageous enough to buy what they like, but rather go with what they think is in fashion or what the sales consultants in the shops recommend. Prediction for the biggest design trend in 2015? More and more people realise that in our technology-driven world their home is the only place to truly relax, chill-out, and nurture their soul. They are looking to create a unique interior that reflects their personality, but at the same time is stylish and functional. As apartment living becomes more and more popular, people start embracing the importance of good design in smaller spaces. Furniture that is flexible and multi-purpose is becoming very trendy. The piece/object on your lust list? I am preparing the third workshop on Apartment Living in partnership with the Green Square Library on the 21 November. I am writing another story for houzz and have been commissioned by House & Garden for a house feature. Apart from that, we are renovating our family room and guest room at home. We had all windows replaced and extended the guest room, which is located above the family room, by enclosing the balcony that no one used. I am finishing the colour scheme for both rooms with new wall colours and window coverings. The cities that provide you with the best design inspiration? And your fave 3 blogs/websites? Bettina Deda colour design provides valuable information, resources and support for people planning to downsize and transition from a large family home to a more compact space to start a new chapter of their life. Bettina is an Interior Stylist, Colour Consultant, Design Writer, Author and Speaker living on Sydney’s Northern Beaches. Her vision is to inspire empty nesters to simplify their life, to focus on the important stuff and to live a more meaningful life throughout their Third Age. Bettina is the author of Downsize with Style, the first practical guide for empty nesters, and has launched the Downsize with Style podcast show in 2014.